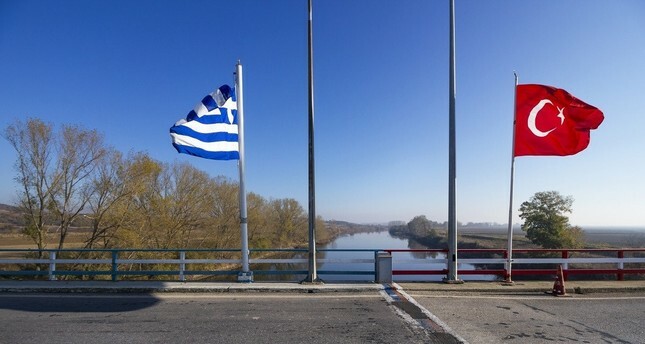 Greek Foreign Minister Nikos Kotzias said Monday a military confrontation between Turkey and Greece was not an option and problems have to be resolved diplomatically, amid strained relations between the neighboring countries over Greek soldiers detained on Turkish territory for illegally crossing the border. When asked whether Greece is sufficiently ready for an arms race with Turkey while recovering from a financial crisis, the foreign minister said that although his country does not have the same financial and infrastructural capacities as Turkey, it has an upper hand in term of purchasing defense weapons. The Greek diplomat also said the EU cannot intervene in an armed conflict between the two countries but suggested that other countries in the region, namely Iran, Russia and Arab countries would have a reaction to such escalation. Fragile ties between Turkey and Greece have fallen to new lows following Greek courts’ repeated refusal to extradite eight alleged putschist ex-Turkish soldiers in the wake of the 2016 defeated coup and Turkey’s detention last month of two Greek soldiers. The first quarter of 2018 has been particularly tense. Apart from the soldiers issue, the Greek Cypriots’ unilateral hydrocarbon search activities is a matter of grave concern to Turkey. On the other hand, the Greek-Turkish conflict has had broad repercussions in German media, underlining that Greece is in the wrong and has no chance against Turkey. Frankfurter Rundschau, a German newspaper, noted that the tension between the two countries has risen to a dangerous level, creating a situation that could lead to an “unwanted accident” in the Aegean. “Entering into an arms race with Turkey is the last thing Greece may need, because defense spending is considered one of the reasons for the financial crisis after the country slowly cured itself of one,” said German daily reports. Geneva talks: What’s to be done about killer robots? One sane voice for a change ! It seems Turkey has some neighbor enemies plus US, Fransce, Israel etc. What will happen soon. The world is getting worse and worse Rafiq. Ahmadiyyah should be a mediator for conflict. What do you think Rafiq? I suppose you are following the News of all the Peace Conferences organized by the Ahmadiyya Muslim Jama’at. Glance through The Muslim Times and you will find them. Or google Peace Symposium Ahmadiyya . We do our duty to pass the message of Peace. No, it is not the efficent way to solve the problem — take a real action— not only pass the message of peace-/ every one can do it — I can do it too through Media, converence etc.